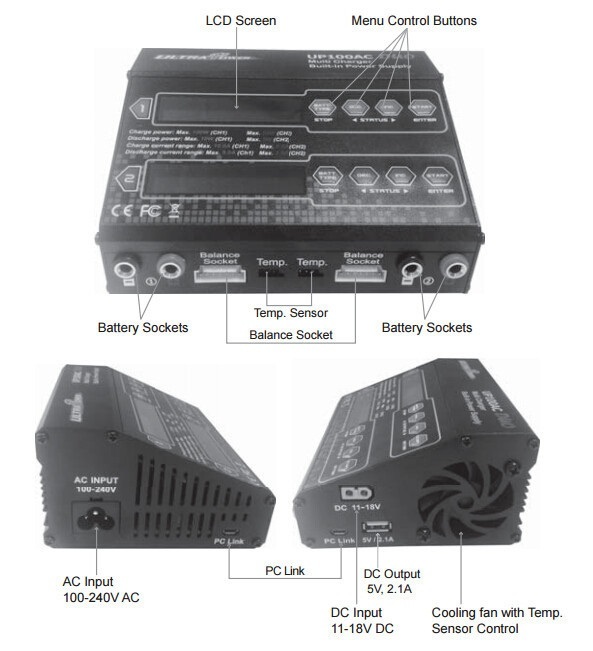 UP100AC: High Quality DUAL CHANNEL Ultra Power UP100AC DUO 100W LiIo / LiPo / LiFe / NiMH / NiCD Battery Balance Charger/Discharger. 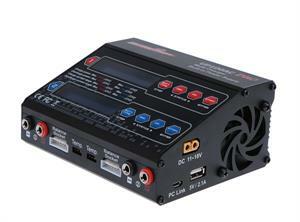 The UP100AC DUO charger is a twin AC/DC charger with 100W and 50W power for channel 1 and channel 2. Each channel is capable of charging all types of batteries listed. Adaptable to various types of lithium battery. Three USB ports, 5V/2.1A for iPad, mobile phone, digital cameras, etc. Temperature Threshold (temperature probe is not included). Comes in attractive product gift box. 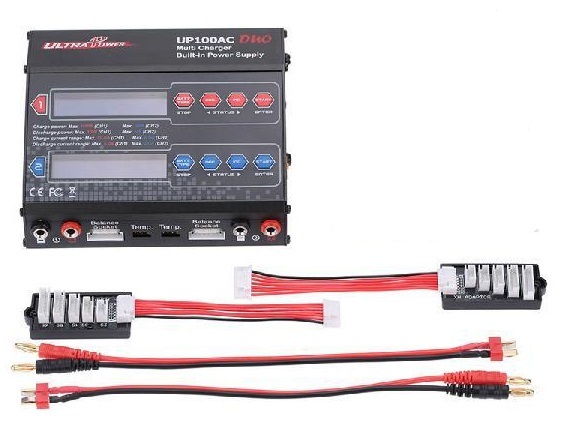 B3AC: Smart Balance Charger for 2S and 3S Li-PO batteries. Plugs into AC wall outlet. Plug your battery's balance connector into the B3AC to charge it. Charge rate = 700mA/hour. Fully automatic. Shuts off when battery is full. 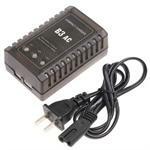 Coolcharger A3: Smart Charger for 1S, 2S, 3S Li-Ion & Li-PO batteries. Can charge batteries from 80mAh thru 5000mAh. Has 7 selectable charge rate settings. Compact & lightweight. 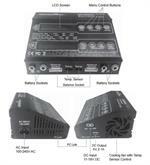 Operates on 12VDC. Charges 3.7v, 7.4v, & 11.1v packs. Includes DC cable.